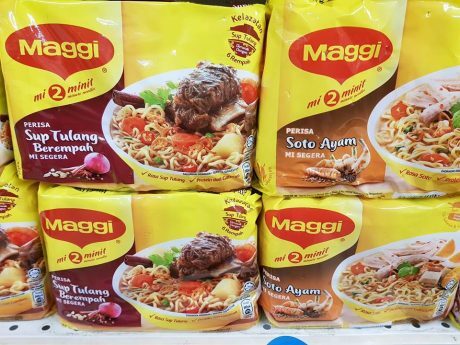 Maggi is bringing Malaysian favourite Malay dishes alive with Mi 2 Minit Sup Tulang Berempah (literally translated as Bone Soup with Spices) and Soto Ayam (Chicken Soto). The existing 2-Minute flavours are Ayam (Chicken), Kari (Curry), Asam Laksa and Tom Yam. Sup Tulang Berempah is an aromatic beef bone soup with many adaptations depending on the region it is served. 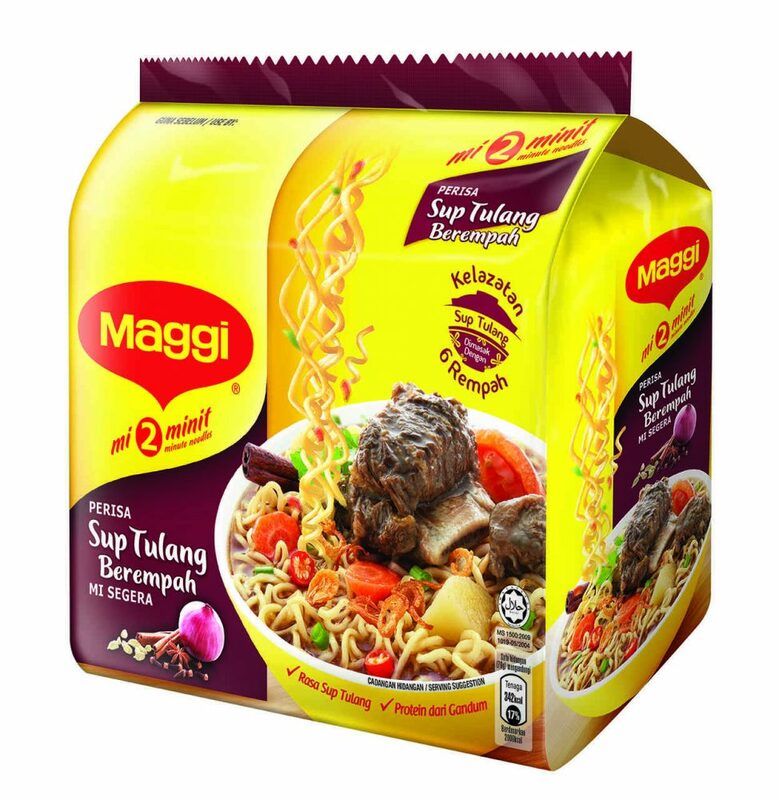 The Maggi Sup Tuang Berempah soup mix contains beef fat, onion, spices, cardamon, black pepper, salt, MSG and corn starch. The serving size is 79g. Soto Ayam is popular in Indonesia, Malaysia and Singapore with different variations. The soup mix contains garlic, chili, white pepper, leek, ginger, coriander, turmeric, star anise, MSG, salt, sugar and tapioca starch. A pack of five sells for a price of RM 5.35 on Qoo10. Apparently, Maggi Sup Tulang was not the first time to appear in the local market. It was launched in the past but discontinued in 2013, according to a blog post. Similarly, competitor MyKuali introduced MeeKuali Beef Flavoured Rice Vermicelli Soup with Spices or Bihun Sup Rempah Perisa Daging in 2016 but it was also discontinued soon after. On Jakim’s website, the MeeKuali range comprises Bihun Sup Rempah Perisa Daging and Mi Soto Perisa Ayam with their halal certification expiring in December 2019. 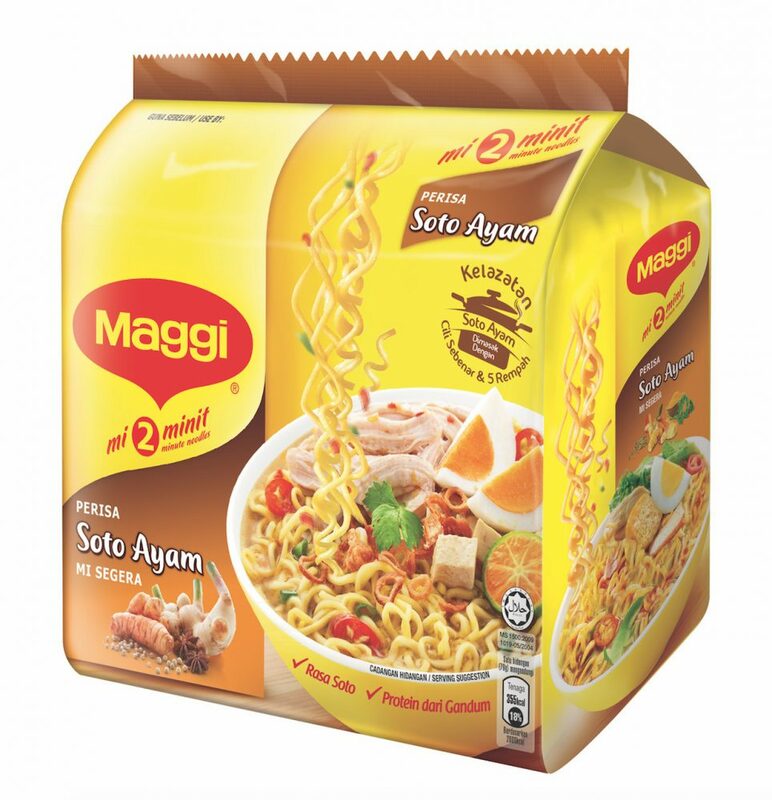 The two new instant noodle flavours suit the Malay palate, thus deepening Maggi’s engagement with the Malay community as well as with the broader market.